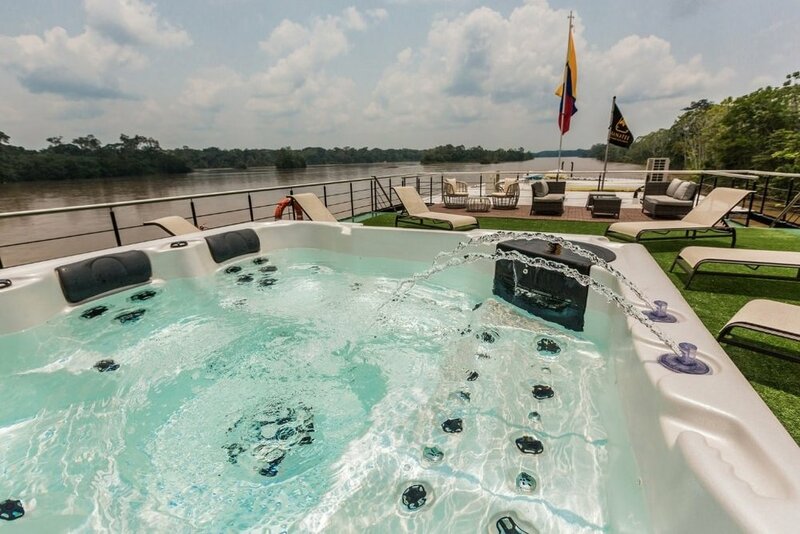 Boasting over 20 years' experience in Amazon riverboat cruises in Ecuador, the exclusively-designed Manatee Amazon Explorer offers all the necessary creature comforts while still being an exciting jungle adventure. 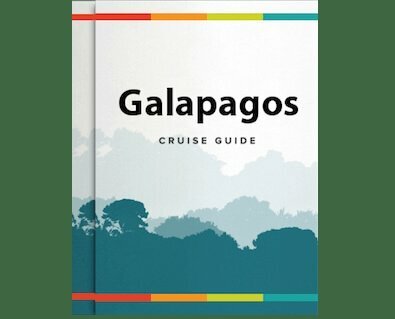 The Manatee Amazon Explorer offers itineraries of 4, 5, and when combined, 8 days, to accommodate all budgets and timescales. With so much to discover in the Ecuadorean Amazon, even an 8-day journey will seem too short. The 30-passenger Manatee Amazon Explorer operates in the upper basins of the Napo and Aguarico Rivers, around Limoncocha Wildlife Reserve and Yasuni National Park, Ecuador’s largest protected animal reserve. Here, the devoted, highly-knowledgeable guides come into their own, as they willingly share their wealth of information about the Amazon's tropical rainforest. The exciting itineraries are carried out with a heartfelt commitment to the communities and nature of the Amazon, and the variety of excursions is ample and compelling. One such excursion is the option for passengers on the longer itineraries to spend a night camping glamourously (glamping) in the jungle in luxury tents, with comfortable beds, charming rustic furniture and superior service, including gourmet meals, champagne and even hot showers. Although incurring an additional cost, this exclusive and unusual experience is highly recommended. If you choose not to dine in the jungle, the Manatee Amazon Explorer has interior and exterior dining areas that are located on the Main Deck and Sun Deck respectively. The on board chefs prepare a spectacular variety of both national and international cuisine. The Sun Deck also houses the well-stocked bar and conference room. The conference room has a flat-screen television, projector and comfortable seating, and it is here where your naturalist guides will give informative talks and detail the following day’s activities. This room also has a computer lounge with internet service (be warned it is very slow! ), as well as a small library. 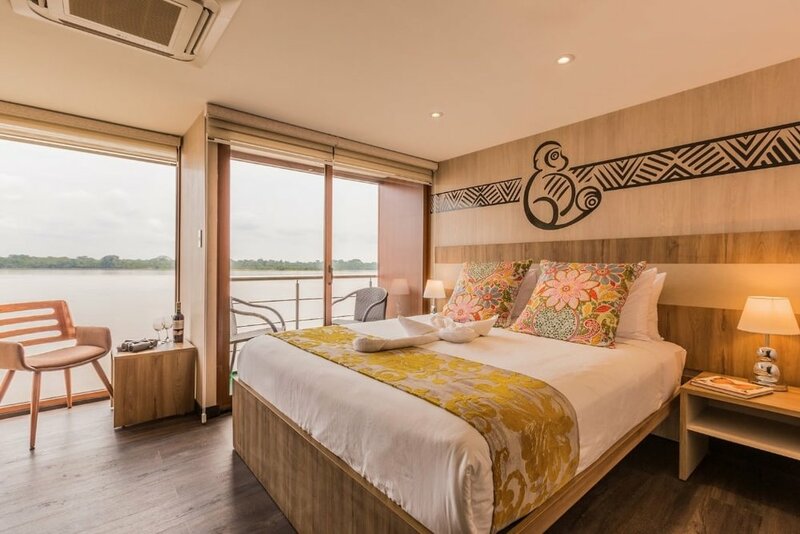 Guests on the Manatee will also be able to relax in the purpose-built, private VIP lounge at the pier in Coca both before boarding and after disembarking the vessel, with complimentary refreshments available. The Manatee Amazon Explorer also carries one and two-man kayaks for use by guests, on occasion. No previous experience is necessary and this is a great way to get close to the wildlife on the riverbanks, and it is also great fun! Please note: All travelers heading to Ecuador will be required to show proof of either public or private health insurance for their entire stay, and if traveling from Brazil in the same trip must also show their international yellow fever vaccination certificate upon entry. If the traveler cannot provide proof of said insurance and vaccination, immigration officers could deny the traveler entrance into the country. Contact us for more details. 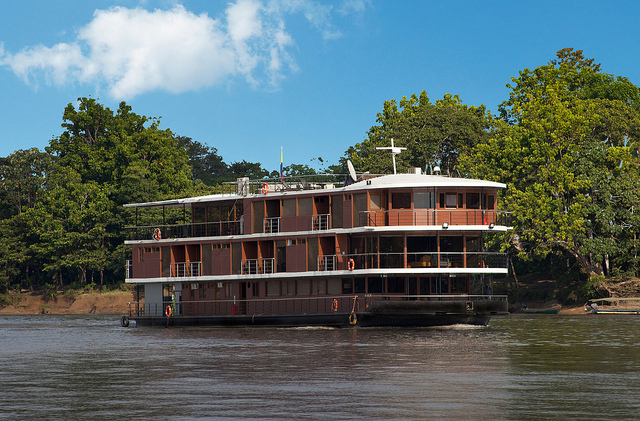 The Manatee is Ecuador's original Amazon cruise. Explore the wonders of the Limoncocha Wildlife Reserve and Yasuni National Park, Ecuador’s largest protected animal reserve under the expert guidance of her first-rate naturalist guides. Visit a spectacular Parrot Clay Lick, climb a 100 ft Observation Tower for spectacular rainforest canopy views or why not go glamping, staying overnight in luxury tents in the jungle?